It's summer in Paris, and two tourists have been murdered in Pere Lachaise cemetery in front of Jim Morrison's grave. The cemetery is locked down and put under surveillance, but the killer returns, flitting in and out like a ghost, and breaks into the crypt of a long-dead Moulin Rouge dancer. In a bizarre twist, he disappears under the cover of night with part of her skeleton. 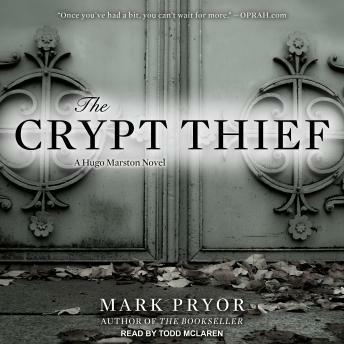 One of the dead tourists is an American and the other is a woman linked to a suspected terrorist; so the U.S. ambassador sends his best man and the embassy's head of security-Hugo Marston-to help the French police with their investigation. Hugo cracks the secrets of the graveyards but soon realizes that old bones aren't all this killer wants . . .